In the game, NASA has returned to the Moon and set up an outpost at the Moon’s South Pole. By using special processing and solar energy, the settlement has become self sufficient. But then a meteorite damages the life support system, and it’s up to you and your team to fix it before all is lost. Moonbase Alpha will require you to use whatever resources are available wisely, such as the robots, repair tools, rovers etc. There are many ways to repair the life support system but you need to work fast, since the faster you can repair the system, the higher your score will be. Moonbase Alpha requires you to work effectively with your team. The decisions you make can spell success or failure so you need to be careful. Moonbase Alpha has some very good graphics, and the physics are very good too. Not only is the game engaging it is also very educational giving you information about the Moon and other related subjects. 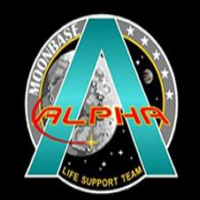 If you’re fascinated by the Moon, astronauts and fancy colonization of the Moon, Moonbase Alpha will be to your liking, as it’s a nice mix of good gaming and education.